The Australian Citizenship Legislation Amendment (Strengthening the Requirements for Australian Citizenship and Other Measures) Bill 2017 is set to make a comeback. The bill has been assigned ‘a priority status’ by Home Affairs Minister Peter Dutton’s department and will be introduced to the Parliament this month. Greens Senator Nick McKim raised the subject at the recent Senate Estimates hearing of the Legal and Constitutional Affairs Legislation Committee on May 22nd, where Department of Home Affairs Deputy Secretary of Policy, Ms Linda Geddes said the bill had been assigned ‘a priority status’ and will be introduced 'in the winter parliamentary sitting period'. The winter parliament session for June 2018 is scheduled for 18 to 21 June and 25 to 28 June but the bill has not yet been listed on the notice paper for Senate Business. When contacted by SBS Hindi, a spokesperson from the Department of Home Affairs did not confirm the date but said, "The timing for the introduction of legislation is a matter for Government." 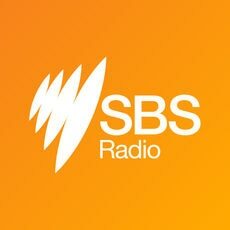 SBS Hindi has written to Home Affairs Minister Peter Dutton and is awaiting his response. Senator McKim, who has been vocal in his opposition to the bill, told SBS Hindi that he has not seen a copy of the new legislation but said he will continue to oppose the proposed changes to the bill which make it harder for migrants to become Australian citizens. “We will be opposing the new bill and will work with other Senators to block it in the Parliament,” he said. Last year, the Turnbull government’s first attempt to pass the bill failed after staunch opposition from Labor, the Greens, and the Nick Xenophon Team. The legislation makes several changes to citizenship requirements. They include changing the period of permanent residency from one year to four, a modest English language requirement, a new values test, and stronger character checks. Potential citizens will also need to demonstrate their integration into the community, including by "behaving in a manner consistent with Australian values". The amended bill, which makes the wait longer and eligibility tougher for migrants, was struck down after the government missed the deadline in the Senate, thus striking off the bill by default on October 18th, 2017. The new requirements which were published on the Home Affairs website have recently been taken down. The spokesperson from the Department of Home Affairs did not explain why they have been taken down but said, "Information regarding any changes to Australian citizenship requirements will be available on the Department’s website." Migrants heave a sigh of relief as the citizenship bill was struck down - as announced by Tony Burke in Parliament this afternoon. The citizenship backlog today has reached alarming numbers with more than 200,000 applicants awaiting the outcome of their applications. “The number of citizenship applications on hand as at 30 April for conferral is 209,826,” a member of the Home Affairs Department told the Senate Estimates Hearing in May. Senator Nick McKim, who has called the proposed changes ‘hateful and divisive’, says this is due to the department ‘not allocating enough resources’ to process pending applications. “The huge backlog of 200,000 means the department is not allocating enough resources. “It is already too hard and taking too long to get citizenship. The government needs to make it easier,” he said. The new passport rule will come into effect on July 1st. After Home Affairs Minister Peter Dutton's speech in February, Citizenship Minister Alan Tudge has said the government will seek to expand English-language tests for migrants.